Wilkes County Volume 2 - It's Here! We have compiled and annotated a great wealth of information concerning historical plats indexed by surname and given name, with the date of the entry. A few years ago, my cousin Dan [...] and I visited your office and you were very generous with your time and expertise. Since then, Dan and Tom [...] and others were fortunate to have your assistance in their efforts to locate Beth Salem Church. I recently purchased your book on Wilkes County Land Records and I wanted to let you know how impressed I am with the book. It is so well done and cross referenced… I am absolutely amazed at the information I have been able to extract about the land owned by my numerous ancestral lines in the county. The ability to view the property and neighboring land owners and compare it to a current map of the area is a wonderful tool for researchers and helps to identify other possible connections. Thank you for all the years of hard work that you put into the book. When you order a plat you will receive a scanned copy of the actual plat, with no tampering or corrections from us. Some plats have recording data on the back of the plat. When this is available, you will receive it also when ordering the plat. Many of the old plats are difficult to read. We have made an effort to abstract every plat for our database. Abstracting (transcribing vital data from) old plats is not an exact practice; some letters and words are not readable or legible. Correct spelling in early Georgia was a problem. There were few dictionaries back then, and certainly no works on the correct transcription of proper names. What was present was a free-wheeling attitude of “spell it like it sounds”. 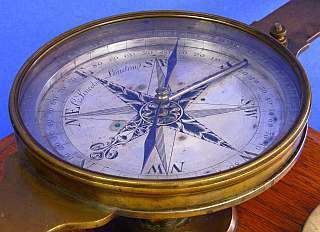 We have not made an effort to “second guess” the old surveyor or the scribe assigned to draw or sketch his work. The researcher needs to look at various spellings. An example of an early settler in Taliaferro County, Georgia; Gresham was spelled as Greshim, Gressam, Gressian, Grissom, Grisson, Greason, Greison, Greesin and probably others. So, when researching a name, have an open mind concerning the spelling of that name. Crumptonplats.com, originated by Dan N. Crumpton, RLS, in 2008, will make an effort to scan and make available tens of thousands of old plats that he has accumulated in over 50 years of surveying and research. These old plats come from various courthouses in Georgia and South Carolina, private collections, estates, libraries, Georgia Survey Generals Office, and Georgia State Archives. Some have been published in land records books by Dan Crumpton. 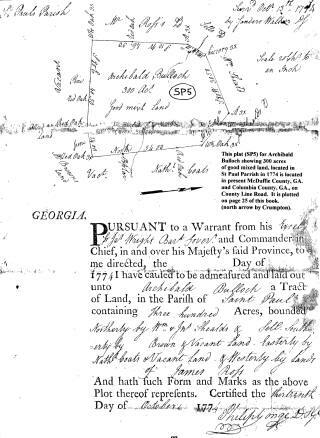 Old plats provide much data not shown in deed descriptions and are an important part of genealogical research.